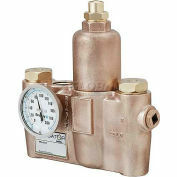 These valves blend hot and cold supply water to deliver tepid water (85°F / 29°C) to emergency equipment, and with a range of 2 to 7 GPM at 30 PSI (7.5 to 26.5 LPM at 2 BAR G), this low-capacity valve is sufficient for a single eyewash. 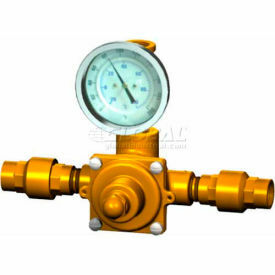 Best specified for systems requiring bypass rates of 1 to 7 GPM (3.7 to 26.5 LPM). 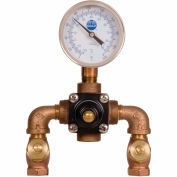 The valve can be installed into existing emergency eyewash application and is easily tested and repaired. Helps meet ANSI Z358.1-2014 and accurately controls outlet temperature in accordance with ASSE 1071 standards. ASSE 1071 approved and lead free certified.